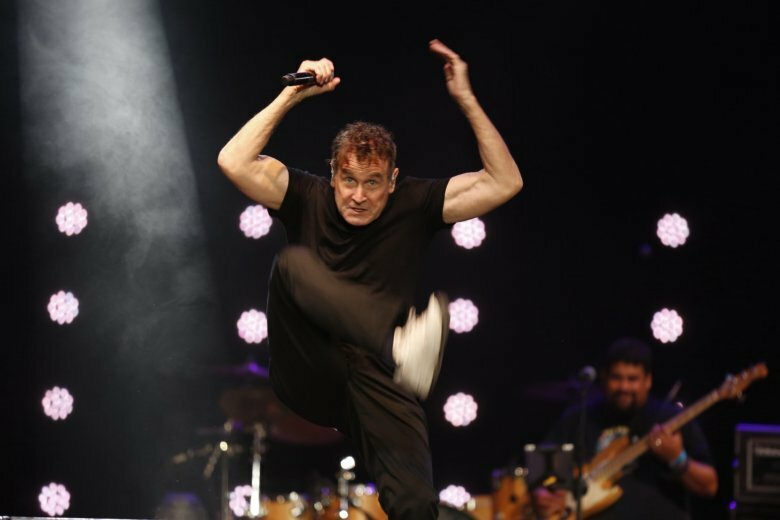 JOHANNESBURG (AP) — South African musician Johnny Clegg says he is an “outlier” who has survived pancreatic cancer for the last few years, but he is preparing for hard times ahead. Clegg, whose multi-racial bands during white minority rule in South Africa attracted an international following, spoke about mortality in an interview with South African news channel eNCA. He said he now enjoys things such as growing flowers and feeding birds in his garden. The “toughest part of my journey will be the next two years, so I’m kind of geared up for that,” Clegg, 65, said in the interview broadcast Tuesday night. Clegg’s illness didn’t force him off the stage, though. Last year, with the cancer in remission, he launched a final tour and performed in South Africa and at international venues. Clegg crafted hits inspired by Zulu and South African township rhythms and harmonies, as well as folk and other musical influences, in defiance of racial barriers imposed by South Africa’s apartheid system decades ago. One of his best-known songs is “Asimbonanga,” which means “We’ve never seen him” in Zulu. It refers to South Africans during apartheid, when images of then-imprisoned Nelson Mandela were banned. More than 50 musicians, mostly South Africans, recently recorded “The Crossing,” another of Clegg’s hits. Proceeds will fund education efforts in South Africa. In the eNCA interview, Clegg said he attended a Boston conference on pancreatic cancer in August and met other survivors, including a computer programmer and an engineering lecturer. “It was a really nice moment because you find a community and you realize how indiscriminate” the disease is, Clegg said.